Since The Empire Strikes Back, middle chapters in trilogies have become known for taking decidedly darker turns than their predecessors. This is no less true for Turf Wars, the second episode in Insomniac Games’ three-part The City That Never Sleeps season of downloadable content for Marvel’s Spider-Man. Picking up from the events of last month’s The Heist, Turf Wars centres around Hammerhead, a gang member that’s declared war against the Dons of Maggia crime family. 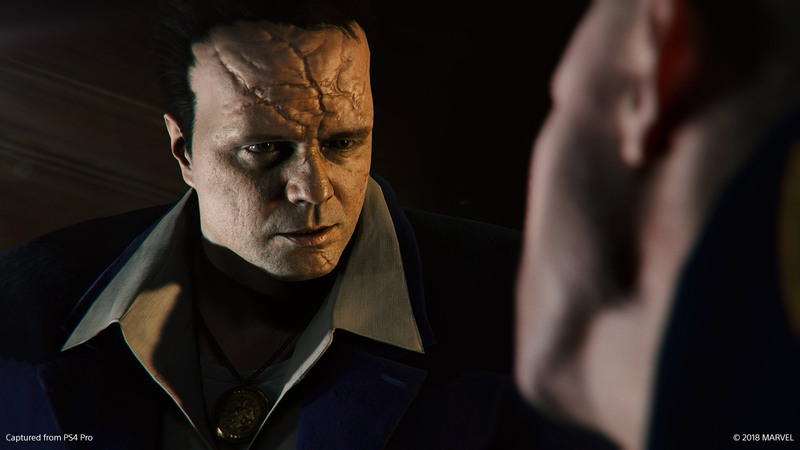 In an appropriately unsettling ‘Frankenstein’s Monster’ sort of twist, the procedure that gave Insomniac’s version of Hammerhead his eponymous unbreakable skull has left him scarred and, as a result, even more intimidating. That edgier take on Hammerhead extends to the larger feel of Turf Wars as a whole. While The Heist focused on a comparatively lighthearted romp with former Spider-Man flame Black Cat, Turf Wars is all about the gang conflict’s disastrous impact on the people of New York City. Unfortunately, the roughly two-hour adventure features relatively few major plot developments, while Hammerhead himself is rather one-note. That said, Turf Wars’ main appeal comes instead from the strain that is placed on Spider-Man and police captain Yuri’s relationship the wake of Hammerhead’s relentless attacks on the city. Part of what gives Spider-Man so much heart is his refusal to give up on people, which makes it particularly compelling to see him struggle to keep Yuri from crossing the line as she works to take down Hammerhead. While this arc feels a bit rushed within the context of one DLC episode, it ultimately works thanks to the strength of the writing and performances that bring Spider-Man and Yuri to life. While the characters engaged in a lot of banter over the phone during the main game, it’s in Turf Wars where the pair get to actually share quite a few scenes together. This, in turn, gives their respective actors — Yuri Lowenthal and Tara Platt (who are themselves a real couple) — more of an opportunity to play off of their great chemistry with one another. 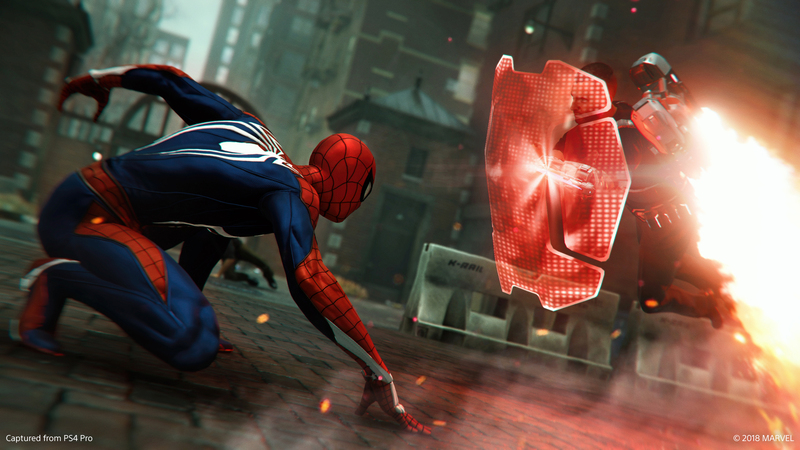 In terms of actual new gameplay content, Turf Wars doesn’t bring a whole lot to the table. A shield and jet pack-wielding new enemy type does make combat more challenging, to be sure. In addition to being deadly agile, they also pack high-powered blasters that leave a trail of electricity on the ground, meaning you’ll need to be mindful of your surroundings. Turf Wars also adds new challenges from social medialite Screwball, who once again tasks Spider-Man with carrying out various activities to get more traffic for her web series. 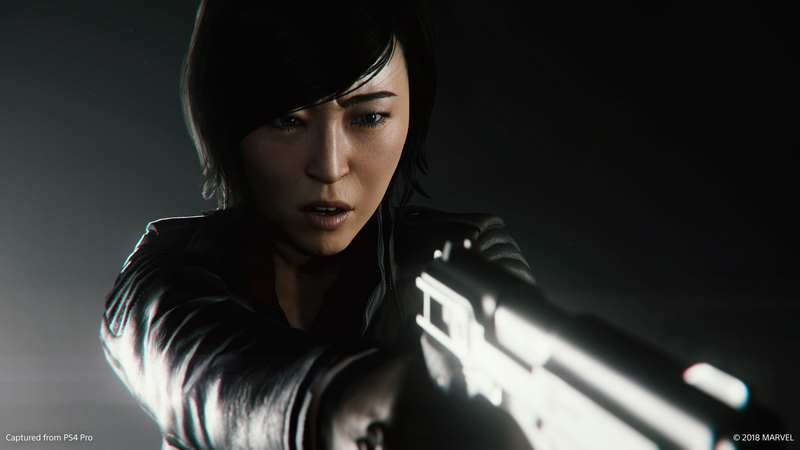 The back-and-forth between the two is as witty as ever, but some of the new challenges — most notably an aggravating forced stealth sequence — ruin some of the fun by being overly frustrating. The trio of new suits this time around fare much better, though, and are a fair bit more interesting than those added in The Heist. The sleek and stylish Mark I Spider-Armour and striking red-and-gold Iron Spider costume are both neat, but the third outfit, the manga-inspired Spider-Clan, is definitely the best of the lot. With its cartoonish design and comically out of place cel-shading, the Spider-Clan is particularly hilarious to see during heated fights with the mob. That said, it’s a bit disappointing that none of the DLC suits include a unique ability, unlike the dozens of unlockable ones from the main game. 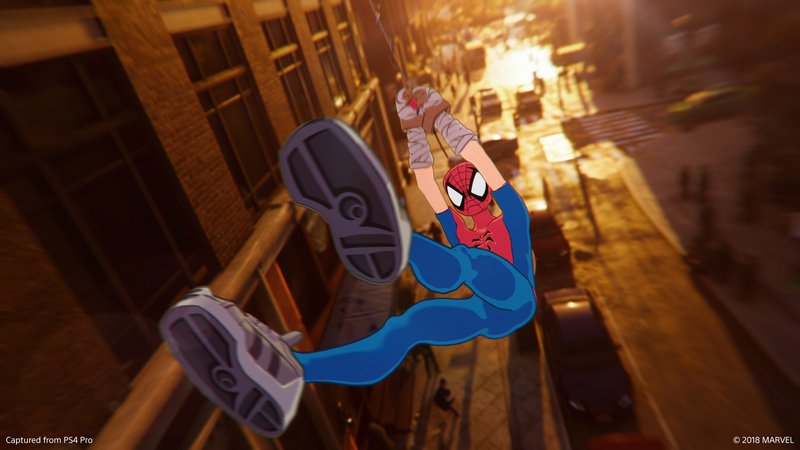 In the end, even with some of its new gameplay offerings feeling uneven, Turf Wars nonetheless succeeds in telling a darker, more focused Spider-Man story. With a cliffhanger ending, Insomniac has me very eager to see how The City That Never Sleeps wraps up next month. Turf Wars is now available on the PlayStation Store for $13.49 CAD. A season pass containing all three The City That Never Sleeps chapters can be purchased on the PlayStation Store for $33.49. The City That Never Sleeps‘ final chapter, Silver Lining, will launch sometime in December 2018. 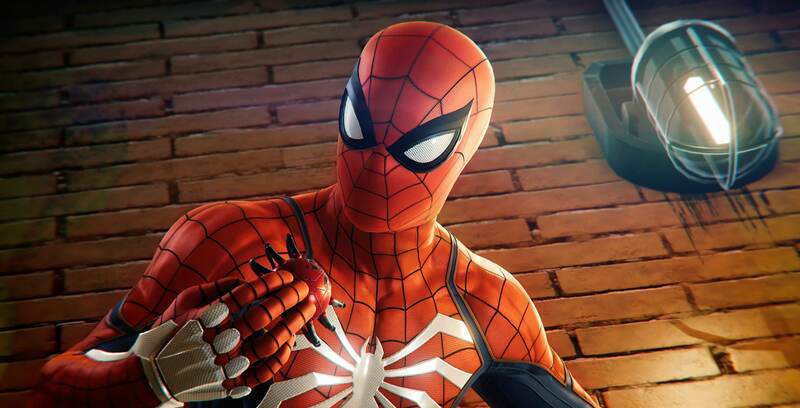 It’s worth noting that Marvel’s Spider-Man is currently on sale for Black Friday. You can get the game for $52.79 (down from its regular $79.99 price tag) on the PlayStation Store until November 27th.